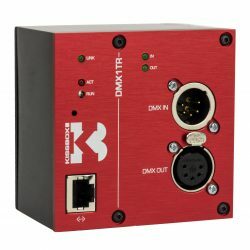 The modern USB-8COM Plus ISO adapter connects 8 x RS232 or RS422/485 devices to your PC by one USB 2.0 High Speed port. The serial ports are individually isolated for 2.5kV. The serial ports, USB and the power supply are ESD protected, compliant to IEC 61000-4-2 (8kV contact/16kV air discharges). All serial ports support RS232, RS422 and RS485 in Full-/Half-Duplex operation mode. The operation modes of the serial ports are either configured by one DIP switch common for all ports, or for each port individually by software. 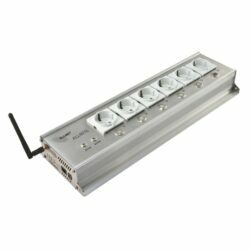 The configuration also activates built-in RS485 termination if required, no jumpers needed. Standard Drivers are available for major operating systems. The USB 2.0 High-Speed enables serial data rates of up to 12Mbps in RS422/485 or 1000kbps in RS232 modes. The device also allows every non-standard bitrate up to 3.5Mbps. A USB type A connector provides easy serial port expansion by simple concatenation of further USB-COM Plus modules; called “USB-through” function. All USB-COM Plus devices can be used to expand the serial ports for NetCom Plus Device Servers.